NSA leaker Edward Snowden has reportedly sought asylum in 27 countries, hoping to gain protection from US prosecutors. 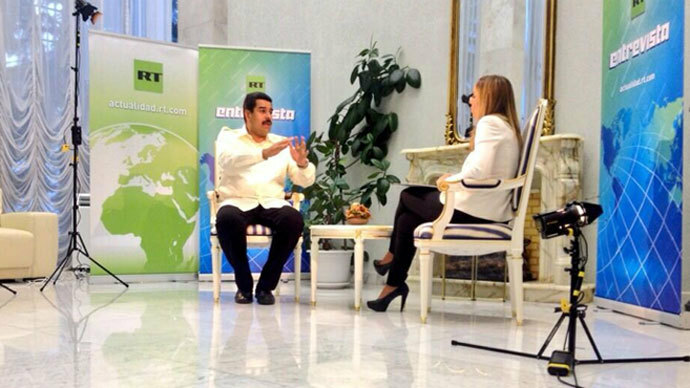 So far, Venezuela has offered Snowden asylum, with Nicaragua joining in, while 11 other states rejected the requests. 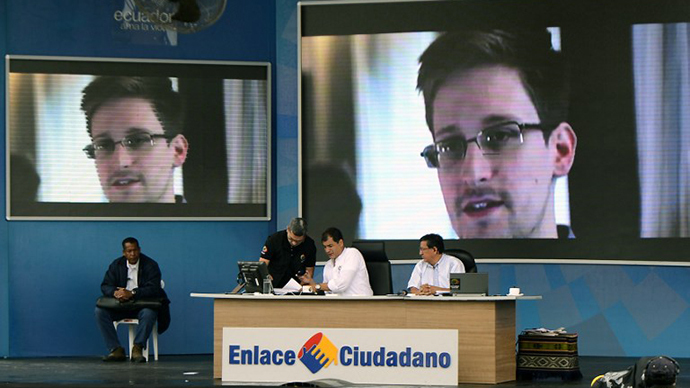 As Snowden awaits replies at Moscow’s Sheremetyevo Airport, Venezuelan President Nicolas Maduro offered asylum to the NSA whistleblower, making the announcement Friday on television during a broadcast of a parade marking the country’s day of independence. "I have decided to offer humanitarian asylum to the young American, Edward Snowden, so that in the fatherland of Bolivar and Chavez, he can come and live away from imperial North American persecution," said Maduro. Venezuela has offered Snowden asylum despite a US extradition request, demanding that the whistleblower be “arrested” if he “travels to” or “transits through” Venezuela and “be kept in custody” for “the purpose of extradition”. In the meantime Snowden has received five outright rejections from Finland, Brazil, Poland, India, and Germany, according to WikiLeaks. New Dehli said on Tuesday that it has “no reason” to accede the whistleblower’s request. 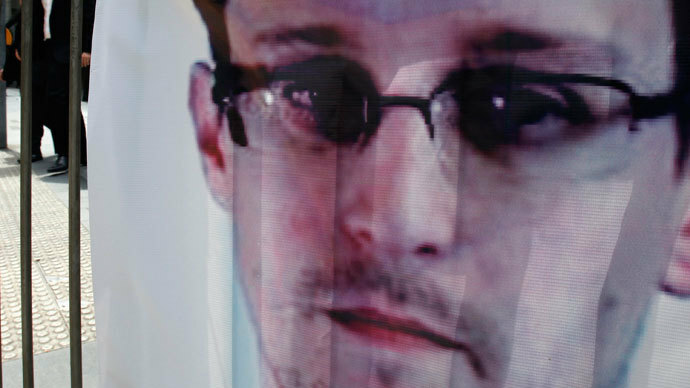 In his application to Poland, Snowden said that he risks facing the death penalty if he is returned to the US. Spain, Norway, Italy, Ecuador, and Austria have also rejected Snowden’s applications, stating that asylum requests cannot be granted unless the applicant is already inside the country. Italy stated that Snowden’s application was made via fax, which is not allowed, ITAR-TASS reported, citing a source in the Italian Foreign Ministry. France has also rejected Snowden’s application for asylum, saying that police would have to arrest the whistleblower if he entered the country due to the US extradition request. "Like many countries, France received a request for asylum from Mr. Edward Snowden through its embassy in Moscow. Given the legal analysis and the situation of the interested party, France will not agree," the interior ministry said in a statement. French newspaper Le Monde revealed that the asylum request has reached the French authorities in the form of a one-page letter, where Snowden argues that he will not be able to get a fair trial in his home country and explains the fate of Bradley Manning – another whistleblower currently on trial in the US. Other nations have yet to respond to Snowden’s asylum requests. Those countries include Bolivia, China, Cuba, Iceland, Ireland, Netherlands, and Switzerland. 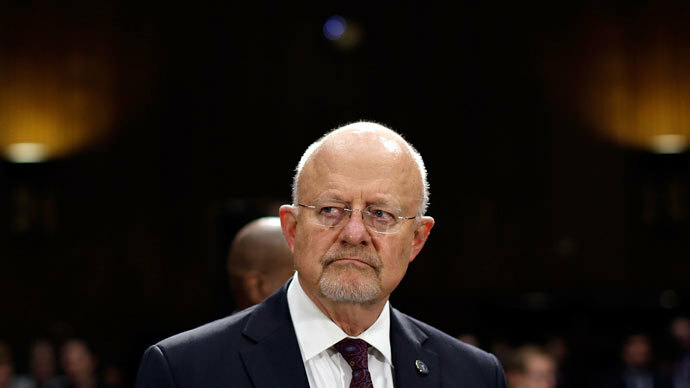 Despite Wikileaks' claim that Snowden has, in fact, sought asylum in China, Beijing said on Tuesday that it is not aware of the request. France has also denied receiving a request in the past. WikiLeaks announced on Friday that Snowden has applied to another six states in search of political asylum. In an effort to avoid US interference, the countries weren’t disclosed. Edward #Snowden has applied to another six countries for asylum. They will not be named at this time due to attempted US interference. Snowden previously asked for asylum in Russia, but withdrew the request after President Putin urged him to “cease anti-American activity,” the president’s spokesperson said in a statement. Putin has stated that Moscow will not extradite the whistleblower to the US. At a meeting with Russian Foreign Minister Sergey Lavrov in Brunei, U.S. Secretary of State John Kerry said he had raised Snowden "from our point of view" despite the affair not being in their domain, Reuters reported. Moreover, in an exclusive interview with RT on Tuesday, Bolivian President Evo Morales said that his government had not yet received a request from Snowden, but would consider it once it was received. 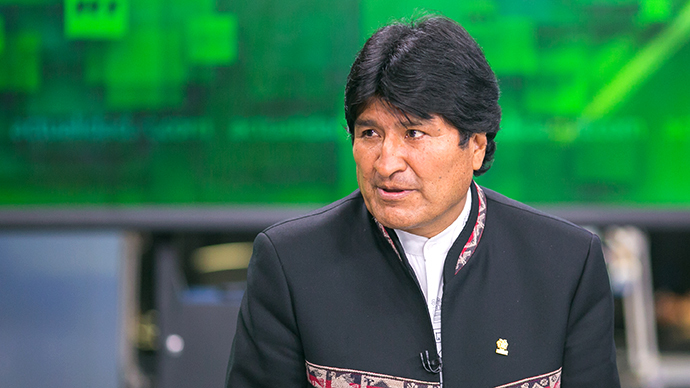 “Bolivia is ready to give political asylum to people who expose spying activities, so to speak...if we receive a request, we are willing to consider it,” Morales said. Venezuelan President Nicolás Maduro expressed a similar sentiment, stating that Caracas is also willing to consider an asylum request from Snowden. “This young man has to be protected by the international community. He did with dignity to tell the world that there are mechanisms that are intended to control information and spy on the world,” Maduro told RT in Moscow adding however that he has "no official communication that says Snowden applied for asylum in Venezuela." 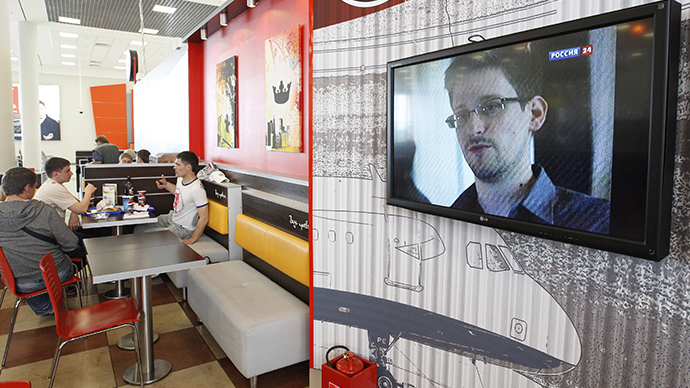 The US has voided Snowden’s passport, making it impossible to leave the transit zone of Moscow’s Sheremetyevo airport. The whistleblower has reportedly filed his asylum applications through a legal representative. Snowden has captivated the world’s press after leaking data on the NSA’s mass surveillance program in May. The whistleblower originally sought to evade US jurisdiction in Hong Kong but left for Moscow on June 23, traveling on special documents given to him by the Ecuadorian government as his US passport was voided. However, Ecuadorian President Rafael Correa said on Monday that any help granted to Snowden had been purely accidental and that no more aid would be given to him. He stressed that the Ecuadorian consul in London acted outside their authority when they issued the travel documents to Snowden.